So I'm new to keeping up the humidity. Currently I'm just spraying the tank with water occasionally but I feel like there is an easier way to keep the humidity up. 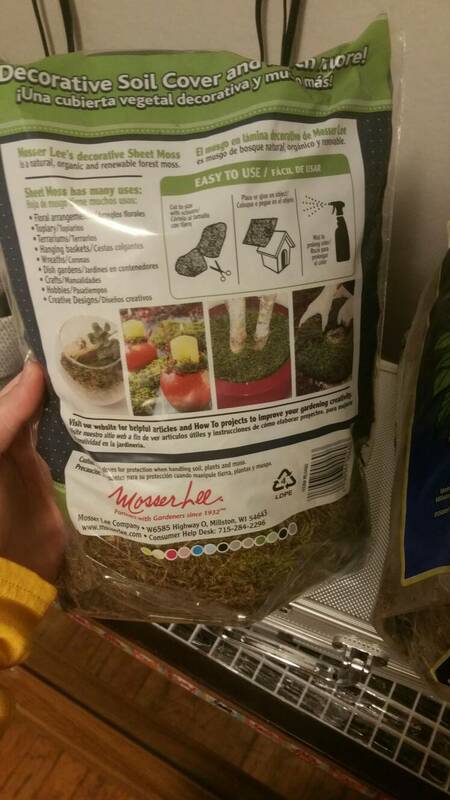 My question is what type of moss would be good to keep the humidity up and where could I get it for cheap (I'm about to move and dont have a lot of play money). Also what other ways do you guys keep the humidity up? I usually order my moss from TheHealthyHermit, but she's currently taking a break to breed hermit crabs so I got some from home Depot yesterday. 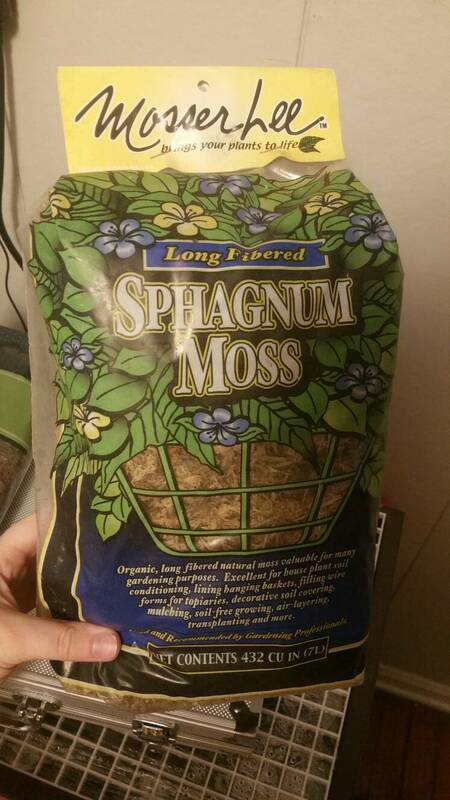 The sphagnum moss was $3 and the sheet moss was $3 or $4 I'm not sure. 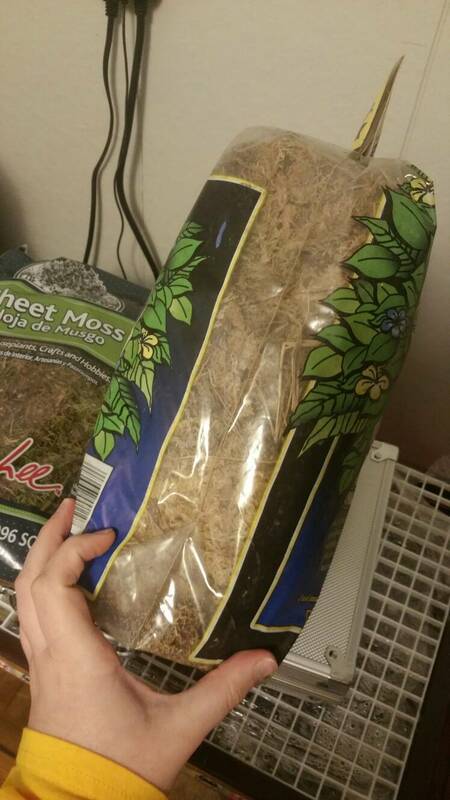 The sphagnum moss I've made 6 iso totes with a large amount of moss and I still have over half a bag left. Once wet it's much easier to work with. You can also put bubblers in your pools. Does your substrate have sandcastle consistancy to begin with? Are you using heat lamps? Those zap humidity. Is your lid sealed well? Hermiesguardian wrote: You can also put bubblers in your pools. Does your substrate have sandcastle consistancy to begin with? Are you using heat lamps? Those zap humidity. Is your lid sealed well? No problem on being a newbie! We all were at some point. I've only been doing this a little over a year. You don't need a lamp for a light source. Unless the tank is in a closet. Otherwise regular daylight is fine. Try and seal that plastic tighter. It looks like its "loose" even though it's taped down. Whatever you're doing for them now is way way better than the conditions they were in before. 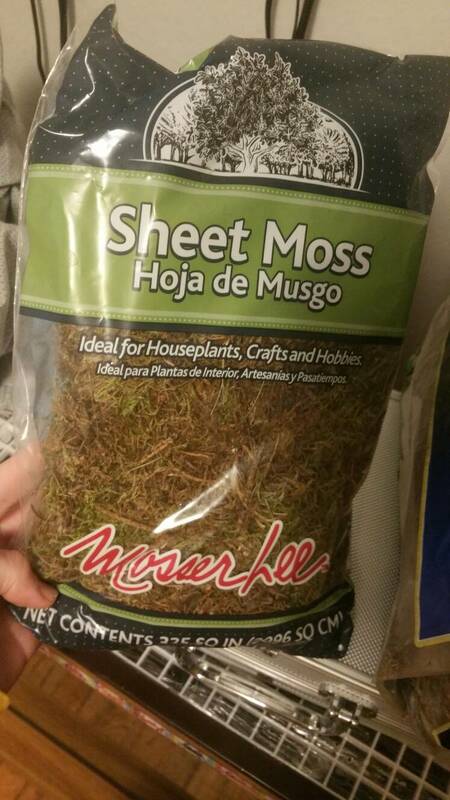 Do you think moss would help with the humidity? Welcome to the hermit crab association!! So, hermiesguardian had a great point that I forgot... The bubblers are amazing. Since you're on a budget, that would most likely be your best option. I started my tank on a very tight budget. It costs about $10 to $15 for the bubblers in both pools. And that will boost humidity a LOT! I'll find the thread that explains how to do it and link it for you. For a lid, I use egg crate light diffusers. It's at home Depot, and you just cut it down to what you need. You'll have to wrap the top in seran wrap or plastic wrap to keep humidity in, and you will need to weigh it down. I use books and a poker chips box lol. There's plenty of lid options, whatever works best for you and your budget. Please don't be afraid to ask questions. This place is full of folks with amazing knowledge and willingness to answer your questions and help you figure this out. I had a really tough time with heat and humidity for awhile until i realized it was because my sub was lower than the heater height in the back. So there was a lot of exposed glass with no heat and it caused both to get out of whack. Once i figured that out, its been smooth sailing and i no longer need to mist. elly_bananas wrote: I had a really tough time with heat and humidity for awhile until i realized it was because my sub was lower than the heater height in the back. So there was a lot of exposed glass with no heat and it caused both to get out of whack. Once i figured that out, its been smooth sailing and i no longer need to mist. Sounds good to me! Lol. Glad it's gotten better.